I have my new flash gun so maybe I can get some better shots now. 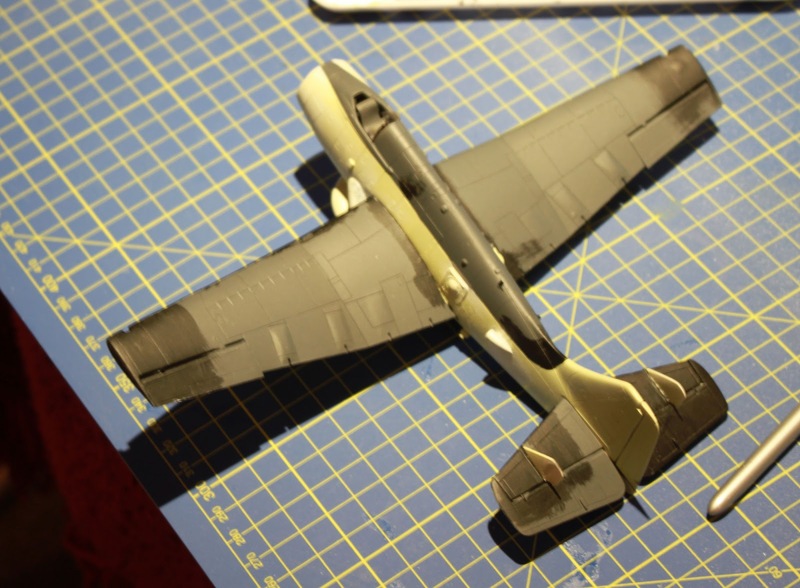 I am going through the process of 'tpuching-up' the Gannet. I am going over the areas requiring work with either black primer (over the dark sea grey) or white primer (over the Sky). I will then hand brush the final coats on. I have removed the upper etched aerials on the wings and the body and sanded off the excess glue, which was annoying me. I think I will use Gator's Grip when I put them back in.